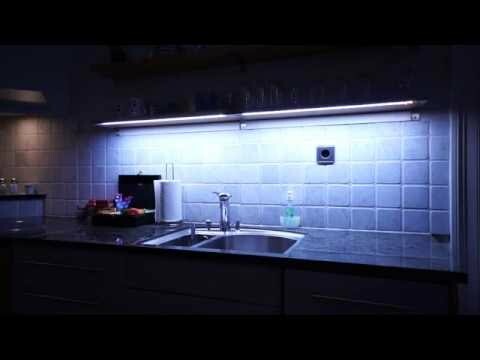 Dimmable LED kitchen light using Arduino, the APDS-9960 gesture sensor and a 12V RGBWW led strip. 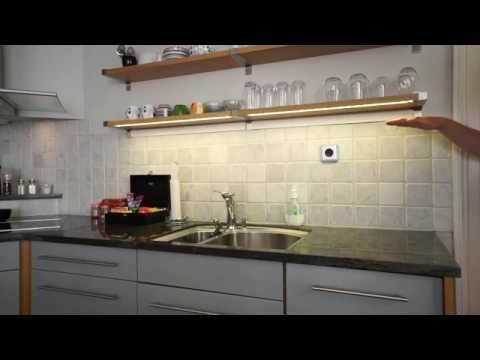 Set light level by moving your hand up and down in front of the sensor. Hold still for 1 second to lock the light level (short blink confirms that the lock is engaged). Color/temperature calibrated to match the rest of my kitchen lights. Will ignore calibration if set at highest light level. Making a movie of this was a bit hard, with handling the different light levels and light temperature, but it came out pretty ok. This device is not (yet) MySensorizied.